The murder conviction of Chicago Police officer Jason Van Dyke in the shooting death of teenager Laquan McDonald marks the latest development in what has become a national conversation — playing out in courtrooms and classrooms, on television and campaign trails — about issues of law enforcement and race. Van Dyke, convicted of second-degree murder along with 16 counts of aggravated assault — one for each of the 16 times he shot McDonald on an October night in 2014 — is one on a growing list of police officers who have faced charges for the shooting deaths of black men in recent years. 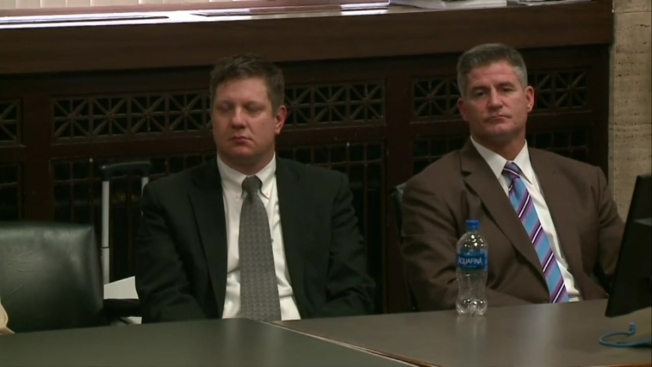 Van Dyke was found guilty of second-degree murder on Friday in the 2014 fatal shooting of Laquan McDonald. The white Chicago police officer shot the black teenager 16 times. The shooting made international headlines when a judge forced the city to release squad car video of the shooting. The video sparked massive protests, cost the Chicago police superintendent his job and promoted federal and local investigations. While under investigation, Van Dyke was suspended without pay. Bates, a white Tulsa County volunteer sheriff's deputy, was sentenced in 2016 to four years in prison for second-degree manslaughter in the April 2015 death of Eric Harris, 44, who was unarmed and restrained. Bates, 74, has said he confused his stun gun with his handgun. Guyger was arrested in September on a preliminary charge of manslaughter in the shooting death of Botham Jean, 26. 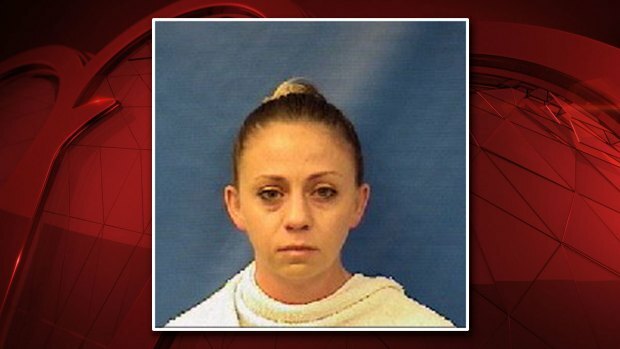 The white Dallas police officer told investigators she had just ended a 15-hour shift on Sept. 6 when she returned in uniform to her apartment complex. She said she mistook her black neighbor's apartment for her own and mistook Jean for an intruder when she fatally shot him. Guyger has been fired. A grand jury could decide whether to charge her with something more serious than manslaughter. Heaggan-Brown, a black Milwaukee police officer, was acquitted in June 2017 of first-degree reckless homicide after shooting a 23-year-old black man, Sylville Smith, during a foot chase in August 2016. Heaggan-Brown was fired after unrelated sexual-assault allegations surfaced. He later pleaded guilty to soliciting prostitution. Jurors found former Milwaukee police officer Dominique Heaggan-Brown not guilty of first-degree reckless homicide on Wednesday, June 21, 2017. Heaggan-Brown fatally shot Sylville Smith after a traffic stop and a short pursuit. Smith was carrying a gun when Heaggan-Brown opened fire. Smith's family plans to sue Heaggan-Brown and the city of Milwaukee. Liang, a rookie police officer in New York City, was convicted of manslaughter in 2016 in the November 2014 death of Akai Gurley. Liang, an American of Chinese descent, said he was patrolling a public housing high-rise with his gun drawn when a sound startled him and he fired accidentally. A bullet ricocheted off a wall, hitting Gurley, a 28-year-old black man. A judge reduced the conviction to negligent homicide and sentenced Liang to five years' probation and 800 hours of community service. The jury reads their verdict in the trial of NYPD officer Peter Liang, finding him guilty of manslaughter in the shooting of Akai Gurley. Oliver was convicted of murder last month in the 2017 death of unarmed 15-year-old Jordan Edwards and was sentenced to 15 years in prison. Oliver, a white police officer in the Dallas suburb of Balch Springs, fired into a car packed with black teenagers who were leaving a house party. The gunfire killed Edwards. Oliver said he thought his partner was in danger as the car drove by. But his partner told jurors he didn't fear for his life. 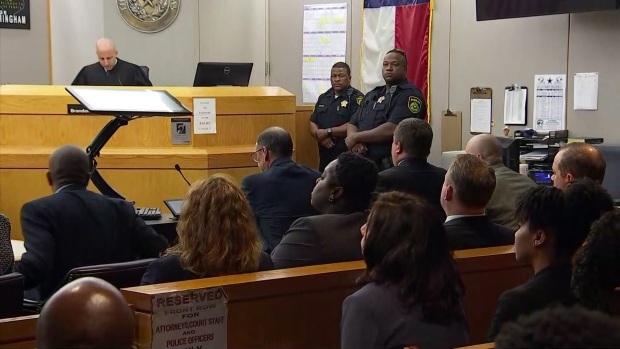 Jurors sentenced former Balch Springs Police officer Roy Oliver, convicted of second-degree murder, to 15 years in prison and a fine of $10,000 Wednesday night. The prosecution and the defense both rested Wednesday afternoon after the trial's two-day sentencing phase. Oliver was convicted Tuesday for the 2017 slaying of Jordan Edwards, an unarmed black 15-year-old. Pownall was charged with criminal homicide Sept. 4 for the 2017 death of 30-year-old David Jones, who was shot in the back as he fled. 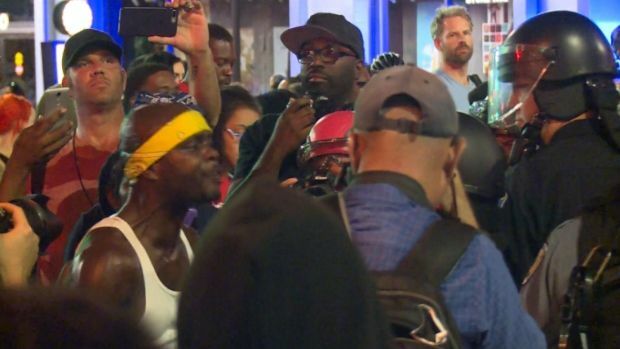 Pownall, who is white, was fired from the Philadelphia police force last year after a grand jury's recommendation said that Jones, who was black, was not a threat at the time and that Pownall violated several policies including firing his weapon toward cars waiting at a traffic light. Rosfeld is charged with criminal homicide in the June 19 shooting death of 17-year-old Antwon Rose Jr. after the black teenager fled from a traffic stop in Pennsylvania. The white officer was charged after investigators said his story about whether he saw or believed he saw a gun in Rose's hand changed during his interview. His trial is scheduled for Feb. 26. Shelby, a white Tulsa, Oklahoma, officer, was acquitted of manslaughter after shooting Terence Crutcher in September 2016. Crutcher, a black 40-year-old, was unarmed. Shelby resigned from the Tulsa Police Department and later went to work for a neighboring sheriff's office. Slager pleaded guilty to federal civil rights charges after killing 50-year-old Walter Scott in 2015. The white North Charleston police officer fired at Scott's back from 17 feet (5 meters) away. Five of eight bullets hit him. Attorneys for Slager said he shot the black man in self-defense after the two fought and Scott grabbed Slager's stun gun. Slager was sentenced to 20 years in prison in December 2017. He later appealed. Former North Charleston police officer Michael Slager pleaded guilty in federal court to violating Walter Scott's civil rights, two years after Slager shot and killed Scott during a traffic stop. 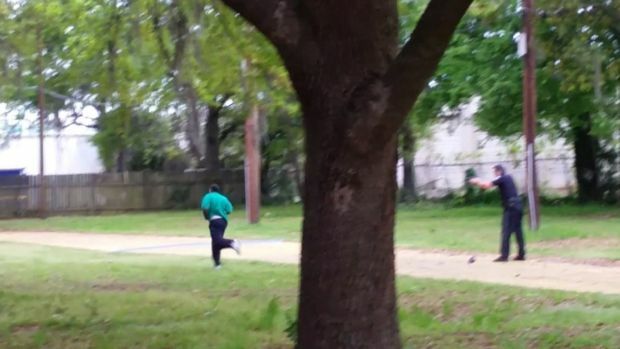 Scott could be seen running away in footage of the incident as Slager shot at his back. Stockley, a white St. Louis police officer, was acquitted of murder on Sept. 15, 2017, in the 2011 shooting death of 24-year-old Anthony Lamar Smith, who was black. Stockley insisted he saw Smith, a drug suspect, holding a gun and felt he was in imminent danger. 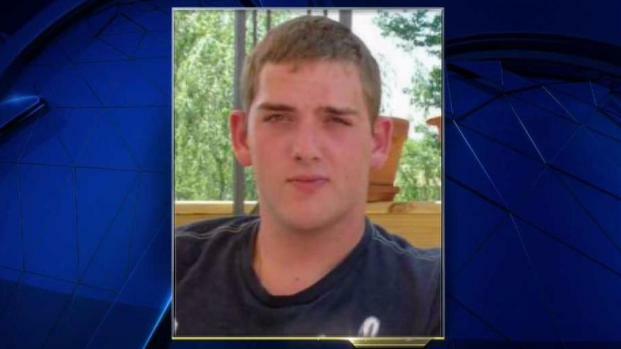 Prosecutors said the officer planted a gun in Smith's car after the shooting. In St. Louis, a peaceful day of protests took a destructive turn after nightfall Sunday as vandals damaged property. NBC's Dan Scheneman reports. The protests come after former police officer Jason Stockley was acquitted in the 2011 death of Anthony Lamar Smith. Tensing, a white University of Cincinnati police officer, was tried twice for murder after killing Samuel DuBose, whom he pulled over for driving without a front license plate in 2015. DuBose, who was black, was unarmed. The jury was hung both times, and the charges were dismissed. Tensing received $350,000 from the university when he agreed to resign. Yanez, a Falcon Heights, Minnesota, police officer was charged with second-degree manslaughter and other counts after shooting Philando Castile, a 32-year-old black man, in 2016. Yanez, who is Latino, was acquitted in June 2017. 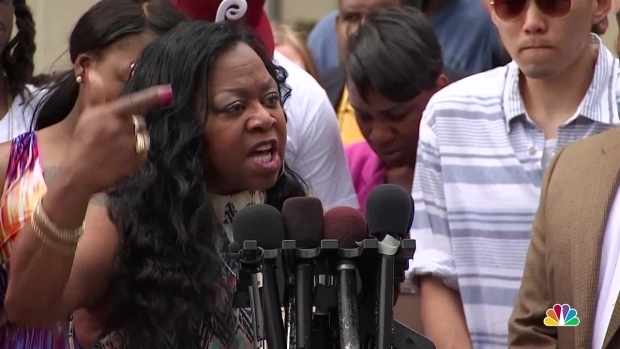 Philando Castile's mother Valerie Castile spoke to reporters on Friday June 16, 2017, after a Minnesota police officer was acquitted in the fatal shooting of her son, a black motorist whose death captured national attention when his girlfriend streamed the grim aftermath on Facebook.